When a new family member comes to the family, everyone is happy. There was nothing else in the video, which circled the web in the past year. 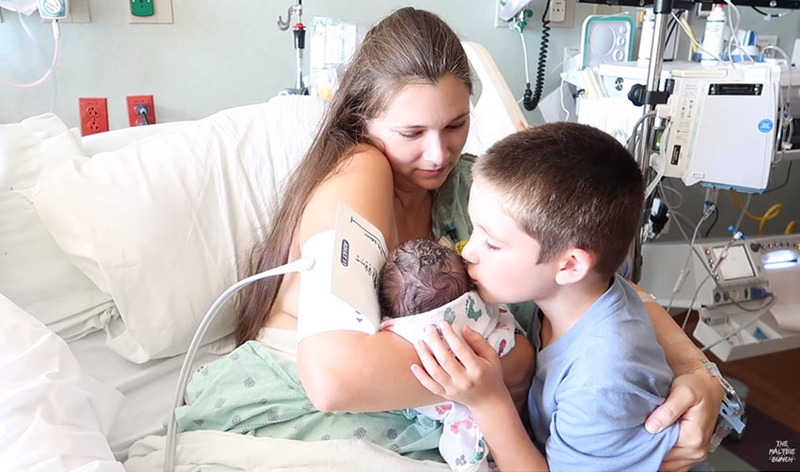 It was a very special scene when Bayden the brother meet his newborn sister named Harper Rose Maltbie for the first time! The proud dad invited his son to the mother's room shortly after the baby came to the world. Little Bayden enters the room with great enthusiasm, and then he sees his sister and tears up at the scene. There was no shortage of tears even among mom and dad, and their video became an instant online hit. Brother Bayden also gave his little sister a nice kiss, while his father captured the entire scene on the camera. When you see how brother Bayden responded to the acquisition of a new family member, you will surely be delighted with his and family's reaction. This is the beginning of that true love between two siblings, and both of them will not have a wonderful memory for the rest of their life!